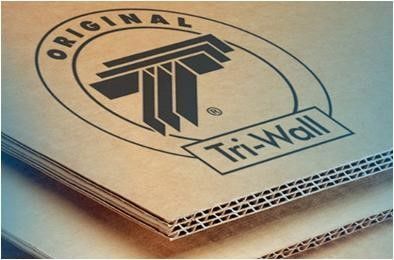 Tri-Wall is the truely company to have globally connected teams providing complete heavy duty corrugated packaging systems that save time and manpower, total cost saving, improve efficiency and support sustainability throughout product supply chain. The internationally recognized standardized quality specifications of "Tri-Wall Pak" and "Bi-Wall Pak" are ideal packaging materials for replacing wood, steel, plastic and other bulky packaging by emphasizing total cost saving, quality satisfaction, and worldwide services. Recyclable and reusable packaging, easy to abandons, environment friendly. Weather resistance with high strength to protect goods inside box. Light weight, easy to carry and encasing, and ease of disposal. Ideal for air freight, ocean shipping, with elimination of fumigation result in total cost saving.